CMMG is a leading manufacturer of firearm related accessories. 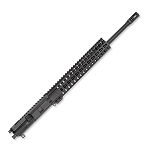 CMMG's commitment to quality and creating product at the best value; this complete upper receiver is designed to connect seamlessly with the lower. 4140 W.A.S.P. 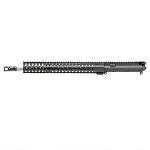 (Weapon Armament Surface Protection) Barrel with 1:10 twist. 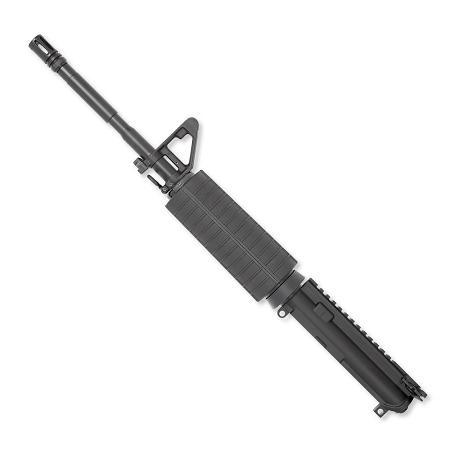 Ramped 9mm Bolt uses a standard AR-15 or M16 hammer. Do not use with the dedicated 9mm hammer.